almost anything from a full bridal skirt to a pair of jeans. The bodices are strongly boned for a wrinkle free fit with eyelets or loops to lace up at the back. 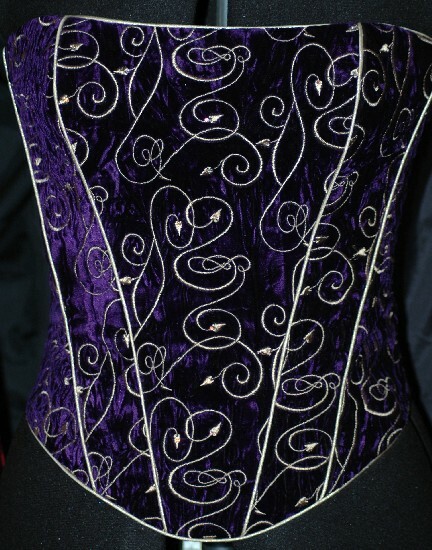 Corsets are fully steel boned with a busk front closure.